Natural stone, even with proper care and maintenance, can become worn and dull-looking with normal day-to-day use. Such is the case with this Red Marble kitchen island top. The first step was to hone the marble, to remove any scratches and the surface wear and tear. After the marble honing was complete, we started the marble polishing process, to give the surface the glass-like appearance our client wanted. Once the marble was polished, we applied a marble sealer. The advantage of marble sealing is that the client has time to clean up spills before they become stains. This is especially important in high-traffic usage, such as this kitchen prep area. 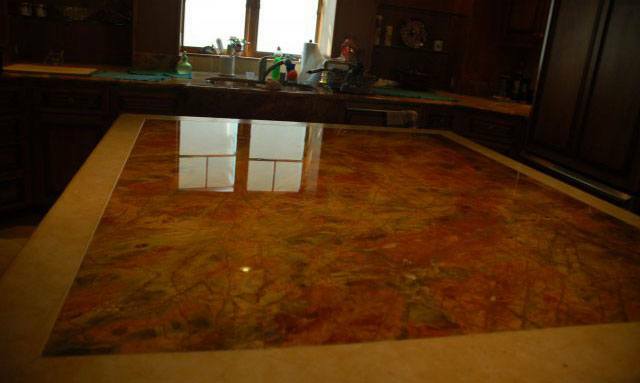 The restored and sealed marble island top looked brand new by the time we finished. At Set In Stone Restoration, our technicians have the knowledge and experience to safely restore marble and virtually any type of natural stone surface. 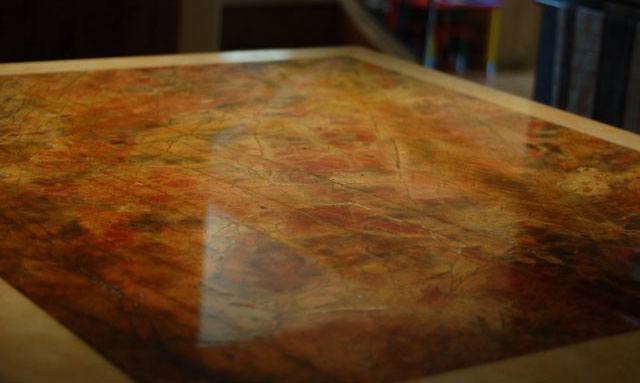 We provide comprehensive marble restoration services throughout the San Diego area. Contact us online or call 619-246-0240 today for a free estimate.